In the first post I mentioned that I had recently been lucky to find a blues artist Jonny Lang. 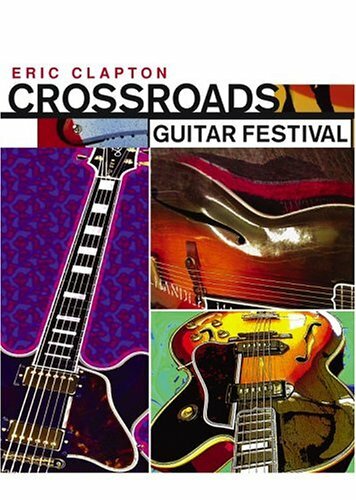 He is featured for one title on the second disk of the first Eric Clapton Crossroads Guitar Festival Concert DVD recorded in 2004. If you get to see any of the 3 Crossroads Concerts, one of the great things about Blues Music is that unlike many other genres it covers the whole spectrum of generations no ages no gender or race barriers. You will find artists ranging from the likes of BB King — now in his 80s, or in their 70s like Buddy Guy — through to artists like Steve Vai (check him out, his musical origins will blow your mind really) and ZZ Top, Jimmie Vaughn and John Mayer. On this disk Jonny Lang performs ‘Give me up again’. It is perfect for all who have found themselves locked in an emotionally and psychologically abusive relationship. Yes it does happen to men and a recent experience has given me an understanding of a few of the reasons that economically disadvantaged [mainly women in context of relationships] stick in a marginalising and exploitive home environment. Talking about women who are isolated in such circumstances get in touch with Emilys List. You will find them supportive and yes they are political but women did not achive the right to vote without being political. Though I’m just a bloke a group of these womwen were especially helpful to me. Briefly Emilys list believe women deserve equality in politics, business, the community sector and the home. This is because equality is a fundamental human right that should be enjoyed by all. To the recording. This is a terrific track and illustrates the full range of talent Jonny Lang has. Of course we hear from Eric Clapton and enuff said. John Mayer performs tremendously displaying a soul feel with City Love. The concert is finished off with the unlikely ZZ Top and it’s great. In between you can hear the blues roots through Buddy Guy, Hubert Tomlin — dudes just a tad older than me — alongside EC, Robert Cray and Jimmie Vaughan. Just to remind us what a talent was lost with his brother. Just a note my enthusiasm may cause me to hurry with a posting so forgive me as I cant spell so good. You got it I can’t play scrabble either. Like I said before I “aint no” Academic, just a working class boy with a bit of education. I was indeed fortunate to have a some special people who helped through a lot of challenges in my early life. Check out Tricky’s Product of the Environment — a great one for sociologists and criminologists. If you wanna hear The PB band check this out. It is live from a bootleg and so it aint legal and has a long intro so stay with it. In my next music post I’ll let you know about a couple of Jonny Lang CDS I now have. For the lovers of Afro beat, stay tuned — there will be stuff about that and I may even get to cover Lou Rawls and Gospel. I am keen to share my Gold. Which reminds me of Harry Gold and his pieces of 8. Perhaps next time? Maybe my life as a DJ doing mixes and Avant Garde stuff way before the likes of Carl Cox and Fat Boy Slim. Might even get to tell you about my link to Boney M.
So more music review soon. Hope you enjoy the ride Davie. « Welcome to [an] escalator over the hill.